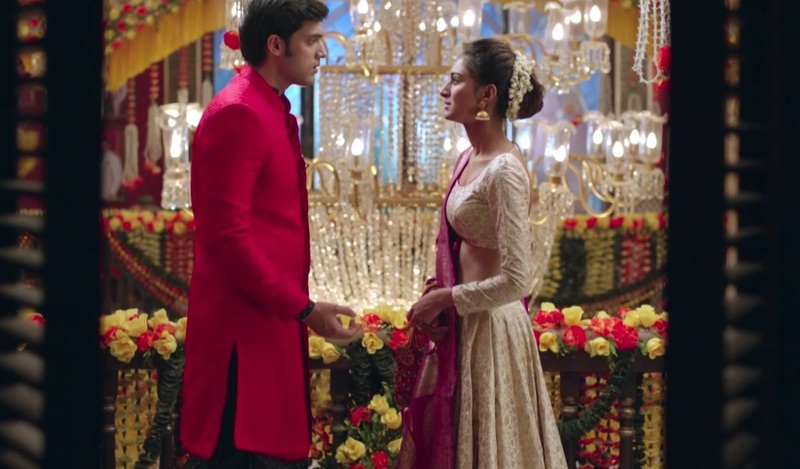 In the past one month, Kasautii Zindagii Kay came up some real romantic sequences to warm the hearts of the audiences. There were scenes wherein all was said yet things remain unsaid. There were scenes where feeling were accepted, but silently and absence of words somehow kept them them unsaid. It was the feeling, the care and the affection Anurag and Prerna felt for each other that made them special and had their love story rolling. 1. Anurag – Mat Karo Yeh Shaadi! The best part of the scene was that Anurag was emotional and at the same time petrified thinking about Prerna’s future. On one hand seeing Ronita almost getting killed was causing him stress and on the other hand, in his mind, he was linking Ronita’s past with Prerna’s future and that itself was a scary thought to him. He was being strong for Ronita, but at the same time when Prerna urged him to talk, he showed his vulnerable side to her and begged her to not marry Naveen. By the end he also made a desperate try to make Prerna speak about her ordeals, the reasons for which she agreed to marry Naveen. His emotions were hard hitting in this scene, so much that it brought tears to Prerna’s eyes. A Month To The New Year And Here's What You Can Probably Expect From These Daily Soaps In 2019! Hina Khan : These Videos Of Hina Khan Will Make You Go Awe At Her Determination Towards Fitness! I hope Anurag continues to be like this and doesn’t marry Komolika!!!! Seriously! I like this Anurag he seems to have a backbone unlike S1 Anurag.